Opera Siam’s London tour of Somtow Sucharitkul’s Mae Naak in September was a huge artistic success — and a financial nightmare, perching the ten-year-old maverick opera company at the edge of the abyss. Undeterred by the setback and encouraged by a legion of friends and enthusiasts who flocked to lend support, Somtow launched a social network campaign through blogging and facebook to finance the continuation of his acclaimed Mahler Cycle, which has garnered international praise. His goal is to sign 100 “Gustav’s Angels” - those who contribute 5,000 baht or more towards the performances ... but he’s added the category of “Engelein” or “Little Angels” to enable people to contribute any lesser amount as well. 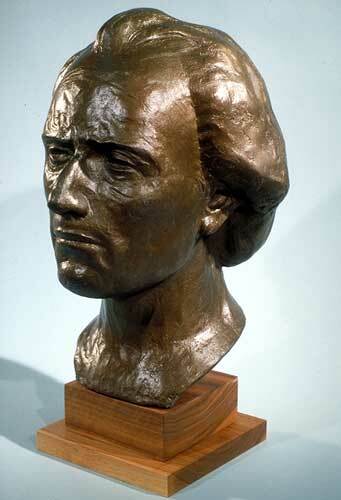 “Mahler is a composer who brings out strong emotions, wellsprings of passion,” said Somtow. “It was reckless to announce the continuation of the cycle in our precarious position, and yet this symphony, No. 6, of all Mahler’s symphonies, is a perfect symbol of the human spirit struggling against ultimate despair.” Two weeks ago, Somtow had only a concert announcement and faith. Today the concert is already a quarter of the way towards paying for itself and contributions have poured in through the donation buttons set up on his blogsite, www.somtow.org, from over a dozen countries. 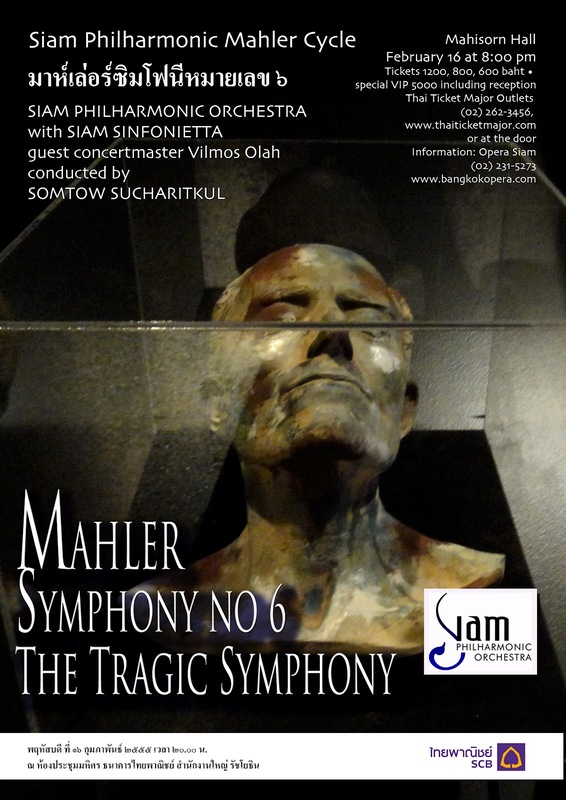 “I was particular moved to receive $5 and $10 contributions from fans and friends in countries like the USA, where the contributors had no chance to come to the concert itself, yet wanted to share in this incredible dream to let us play the complete Mahler symphonies by the year 2014,” Somtow said. The cost of putting on a Mahler symphony using the very best musicians in the country is only one-seventh of doing such a concert in Europe, Somtow adds. The Siam Philharmonic is already half-way through the cycle of ten Mahler symphonies. But the Sixth is a very special case. Considered by many to be Mahler’s greatest, it has been nicknamed “The Tragic” - though not by Mahler. It was the favorite Mahler Symphony of HRH Princess Galyani Vadhana, to whom Somtow once made the promise that one day Thai musicians would play all the symphonies. Two controversial elements in the symphony are the order of the movements and the “hammer-blows of fate” written into the score. Mahler specified a big but wooden sound for these blows and people have been arguing about how to play them ever since. Somtow’s solution is probably a first “I want to use a coffin lined with gravel,” he said. “The coffin adds a visual element to the symbolism of the hammer blows ... and happens to be just the right size and shape.” The use of a coffin as a percussion instrument may well be a musical first. No one can agree whether the two inner movements should be played Scherzo-Andante or Andante-Scherzo. “One thing is clear,” Somtow says, “the two sequences create completely different symphonies.” He says he will probably only decide on the day what order to play the movements in. The Siam Philharmonic’s Mahler Six, with guest concertmaster Vilmos Olah from Hungary, plays Thursday, February 16 at the Mahisorn Hall at 8 pm. The hall is located in SCB Park Plaza, Ratchayothin Road. For more information, go to http://www.thaiticketmajor.com/concert/concert-detail-en.php?sid=1142 or to http://www.operasiam.net. Tickets can be obtained from Thai Ticket Major outlets or their website, www.thaiticketmajor.com. ที่ไหน เวลาอะไร ห้องประชุมมหิศร เวลา 20.00 น.